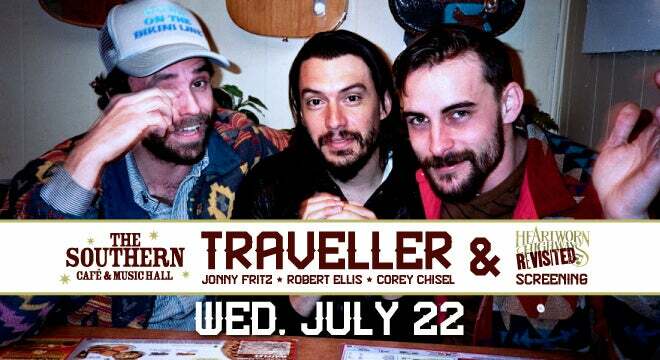 July 22 will feature a special entertainment double bill – a screening of the acclaimed film Heartworn Highways Revisited staring Jonny Fritz and Robert Ellis among other Nashville-based Outlaw Country artists followed by a live performance by Traveller, a new super group and musical powerhouse comprised of Jonny Fritz, Robert Ellis & Corey Chisel. 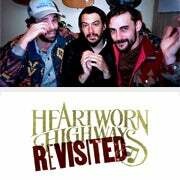 More About Heartworn Highways Revisited: 2015 marks the 40th anniversary of the seminal music documentary, HEARTWORN HIGHWAYS, a film that explored and captured the nascent roots of the Outlaw Country movement in the mid-70’s. HEARTWORN HIGHWAYS REVISITED celebrates the authenticity and expresses the feelings of the legendary original, via a community of contemporary “outlaws” living and creating music in Nashville, Tennessee. About Johnny Fritz: Nashville songwriter Jonny Fritz's work ethic and boldness have paid off in spades. It's been a big year for Jonny, with opening stints for Alabama Shakes, Deer Tick, Dawes, Shooter Jennings and rockabilly legend Wanda Jackson and kudos from CMT and Rolling Stone, among many others. 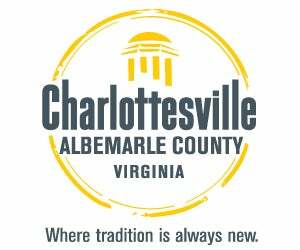 He's signed a deal with indie label ATO Records (he actually signed the deal with gravy at Nashville landmark Arnold's Country Kitchen), and his third full-length album,Dad Country, is set for release on April 16, 2013. With every remarkable cut, with every twist and turn, Robert's life and his experience, shine through. His days growing up in a small industrial town in Texas, his move to Houston, and now as a 24-year-old man, when not on the road performing around the world, living with his wife in Nashville. About Corey Chisel: Wisconsin native Cory Chisel first connected with the power of song – and the spellbinding possibilities of live performance – through the music he heard in church. His father was a Baptist preacher, his mother played the organ and Chisel and his sister sang. The gospel's rich vernacular of loss and redemption also informed his innate poetic sense and lyrical range. Chisel went on to become a critically acclaimed recording artist who was deemed one of 2009's "Best New Artist's" by Rolling Stone for his RCA release Death Won't Send A Letter. His latest release Old Believers came out in 2012. Chisel has played festivals around the world including Glastonbury, Bonnaroo and Newport Folk Festival; appeared on Jimmy Fallon, The Late Show with David Letterman and Conan and opened for artists such as Norah Jones, Emmylou Harris, Jackson Browne, Lucinda Williams and more. His latest recording project seeks to unearth rare soul gems from lesser-known performers of the era and revive them with his soul covers project.